Shopping and eating late into the night are key parts of Chinese society that are well catered for in many cities by “Night Markets”. Hong Kong is no exception and you’ll find a great variety of market choices available well into the small hours. Although there is only one official “Night Market” located at Temple Street in Jordan there are many other choices available if you want to get the same experience in other districts, though no one of the others is of quite the same scale. If you have a particular interest int he shopping, dining or cultural aspects then you’ll find those represented in some of the other markets discussed below. Read on to learn more about what makes a night market special, where the traditions come from, the best choices as well as other options that may fit better into your itinerary. 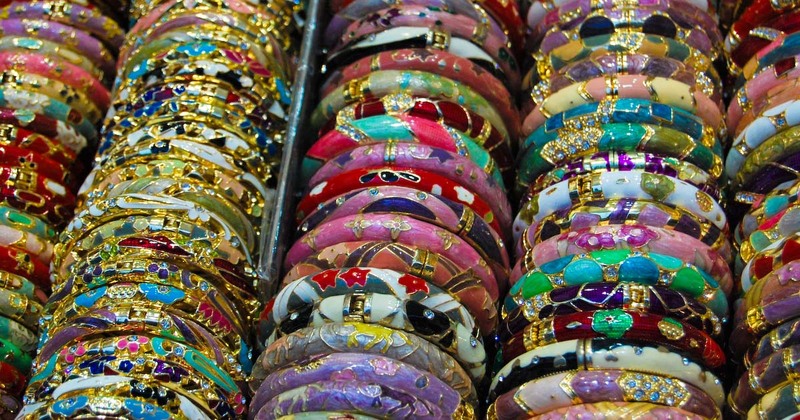 You will find night markets in many Asian cities, particularly those in China or with a strong Chinese influence. From Taipei to Beijing to Bangkok the places available to shop and dine are endless. Most night markets were originally street stalls and many of them are still structured with lots of stalls, but often they are now grouped under a communal roof. And ordinary shop fronts along streets that host night markets also end up being part of the market itself. Before the invention of air-conditioning, which is now such a major part of the Hong Kong shopping experience, it was the evening hours that offered respite from the heat of the day. So it made perfect sense to shop after dark, and serious shopping, of course, involves socialising, and then eating to keep up the energy levels! 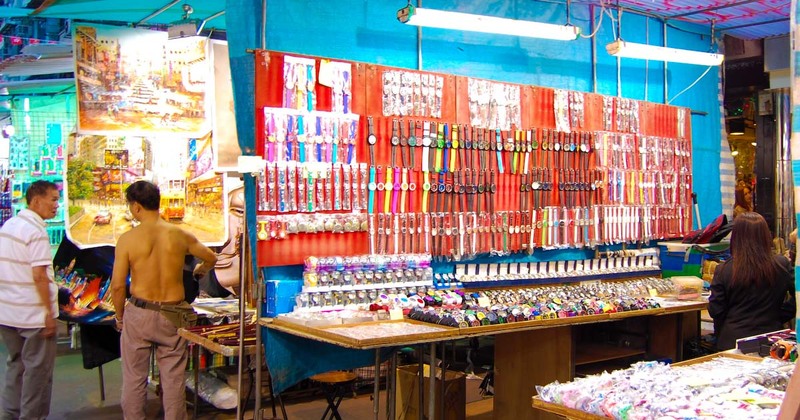 At a Chinese night market you’ll find a variety of goods on sale from clothes to toys, lots of food choices including light meals such as noodles. A hot bowl of noodles at midnight is a perfectly reasonable snack to many people in Hong Kong and they would rather have that cooked hot from a busy noodle stall rather than made at home. For those who want to eat and walk there are also tasty snacks to carry about and munch on. From curried fish balls to deep-fried chicken legs, if you can eat it and carry it then there is a good chance a Chinese night market will offer it. 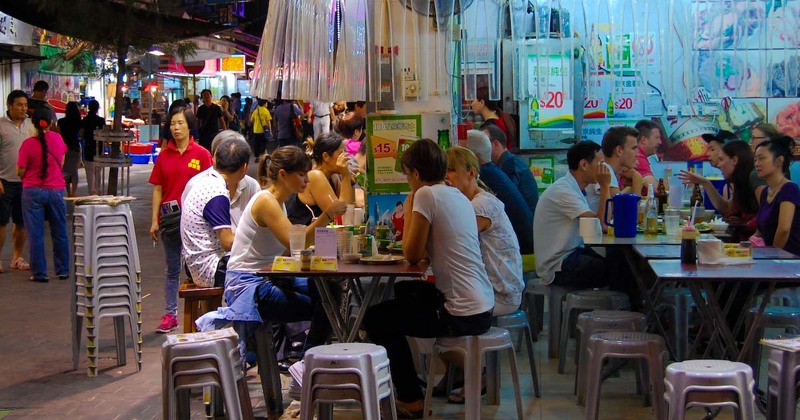 In many night markets the street stalls or “dai pai dong” have evolved into full-service restaurants which offer full meals at sit-down tables, though those tables are commonly on the street and within “spitting distance” from gutters. 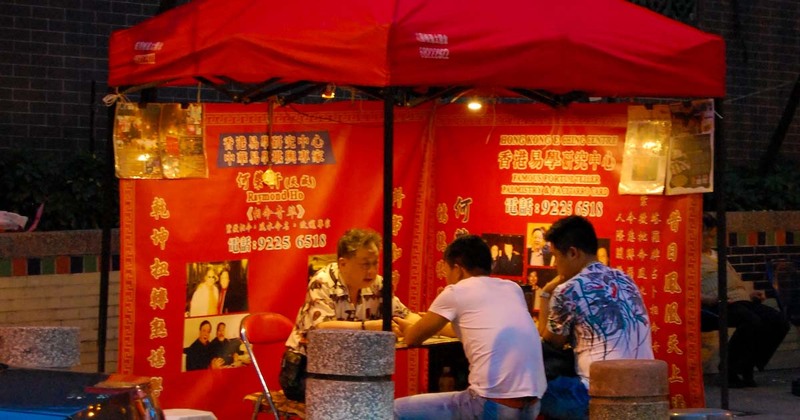 Look out for fortune tellers plying their trade ate night markets. Various entertainers including singers and traditional performers are also often represented. The Hong Kong night market tradition goes back to the origins of HK, though the location and content of the market has changed over time. 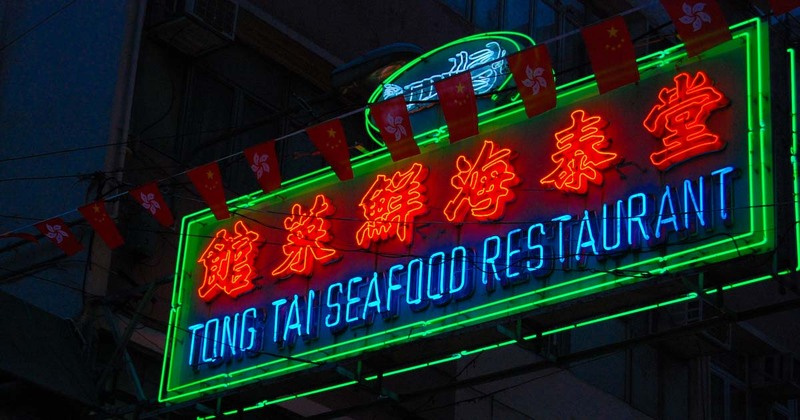 Though there are many markets in Hong kong that operate into the evening and night the best choices for a visitor to Hong Kong are clearly Temple Street and Ladies Market (Tung Choi Street). Read on for the fast facts on these two touristy yet value packed experiences, whether you want to shop here or merely drink in the atmosphere they are must-see destinations. Plan a trip that allows you to dine, shop, browse, sight see and take lots of fantastic photographs! For sheer scale and variety nothing can beat the Temple Street Night Market in Jordan. From food to fortune telling, from fashion to phone cases, you’ll find everything and a bit more in this bustling market. When to go: Any time after dark until 11pm is fine. After midnight things will slow down. Where is it: Along Temple Street in Jordan. The official part runs northwards from the crossroads of Jordan Road and Temple Street and ends at the temple. An unofficial branch continues northwards from the temple and holds mostly food stalls. Take the MTR to Jordan Station. 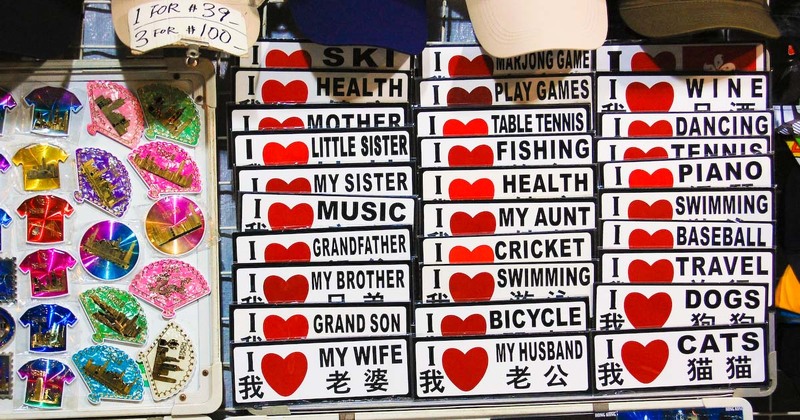 What you’ll see: Street stalls along the pedestrianised road selling everything from touristy I Heart HK T-shirts to mobile phone covers. Get some cheap luggage or a carved chess set to take home. As well as the stalls selling things look out for the fortune tellers. You’ll find those on the east side of the multi-story car park building next to the temple. Also next to the temple will be found the various musicians and singers who regularly come to exercise their talents and entertain the crowds. Dining choices from take-away food stalls north of the temple to sit down (on plastic stools admittedly) restaurants serving the Temple Street Spicy Crab. Don’t miss: The view from the upper levels of the car park showing the whole market street in its illuminated glory. Watch out: Not all the goods on offer are exactly “real”, if you see a “Gucci handbag” for $100 there is probably a reason why. 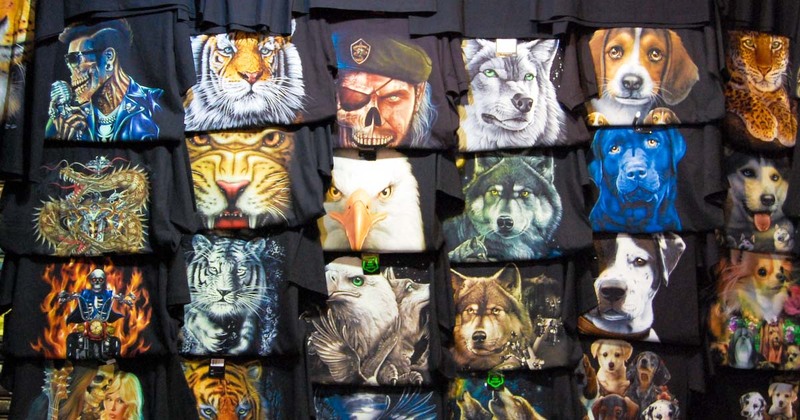 If you want brand name goods at a discount try a factory outlet, not a street market. When to go: I’ve included this in night markets as it continues to be active until nearly midnight but actually, it is great to visit any time after 11 am. 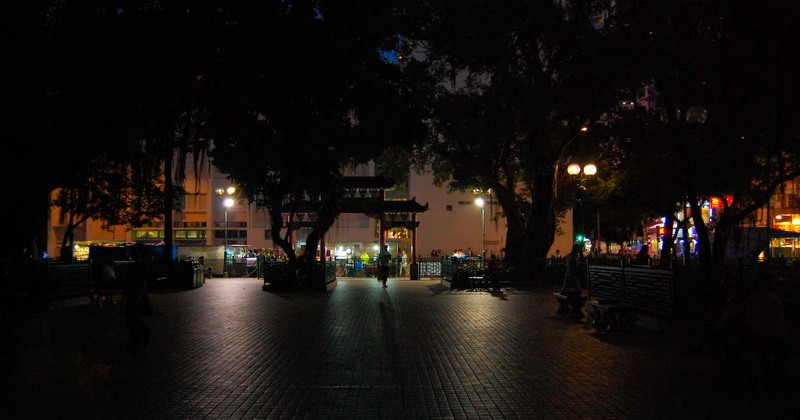 Because this is so close to Temple Street, just a half hour walk or two stops on the MTR Kwun Tong Line, you can actually visit Ladies market late afternoon, then stroll on down to Temple Street as it gets set up around dusk. Where is it: The Ladies’ Market is a section of Tung Choi Street roughly from Argyle to Prince Edward in Mongkok. There is so much to see in Mongkok, said to be the densest populated area on Earth, that it isn’t surprising that one of the greatest markets is situated there. What you’ll see: Lots of street stalls. A lot of them are selling things for women, clothes, handbags and accessories, but there is plenty for men to see as well. From phone covers to toys, from souvenir t-shirts to hiking sticks, the range is great. As with other markets you’ll see apparently discounted “brand” goods which, on closer inspection, probably owe little to French Haute Couture and a lot more to sleep sweat-shops in Shenzen. While there are cafes along the road and some side streets have open food kiosks this isn’t really a dining market. Save your appetite for the culinary challenges of Temple Street! Don’t miss: The shops at the sides of the streets, they are a little more formal than the street stalls but can give you more choices. And boutiques in shops sometimes allow you to try on garments, which is something that doesn’t work in stalls in the middle of the street! Watch out: As well as the fake branded goods, the market is generally safe and with good products. Most things have discounts if you bargain or buy more than one thing. Once you have agreed on what you are buying make sure you walk away from the stall with exactly that, and not something similar but of less value which might get substituted at the last moment. Only one of the choices below is actually a market, but they all have a market feel due to the throngs of people who mingle in the street and the open-fronted shops that allow goods, salespeople and purchasers to spill out into the roadway. Each of these shopping areas stays open after the sun goes down, but they do start to quieten down around 8 pm and are closed by 10 pm so they don’t really count as night markets. So I’ve called them “evening markets” as a half-way designation. When to go: If you want to actually buy some sports shoes and sports equipment then an earlier visit would be better, at 11am shops will be open. By 6 pm the street would be packed and while that would be great for the atmosphere it might not help you to do any shopping. Where is it: The real name of the street is Fa Yuen Street, located in the district of Kowloon called Mong Kok and is located near Ladies Market. What you’ll see: Shoes, lots of shoes. Sneakers, trainers, tennis shoes, football boots. People buying shoes. And more. If you are looking for the latest styles then you’ll find them here, but also older models at discounts can be purchased here. As the shops are sports shops you will find a number of other sports-related equipment and brands you will find Fitter, Adidas, New Balance, Walker Shop, Converse, Dahood, Nike, Crocs and more. You will also find many small guest houses and hotels. Don’t miss: Shops which are on the 1/st floor, often up very narrow and hard to see stairways. Also see the Fa Yuen Street Public Market which is a “wet market” selling meat, vegetable and dried foods. Watch out: For the car accessories shops in the nearby Shantung Street. When to go: Once known mostly for factory outlets the Granville Road and connected Granville Crescent are now a hot spot of boutiques and trendy fashion shops. Where is it: Near the southern tip of Kowloon this short road is easily reached from Tsim Sha Tsui east hotel area at the south or the History and Science museum at the north. What you’ll see: Boutiques along the street level, some trendy restaurants, and upstairs in Granville Crescent local designers and hot fashions from Korea and Japan. Don’t miss: Take afternoon dim-sum from YUM CHA, a modern take on the traditional Cantonese steamed and fried dishes. With classic flavours and ingredients presented in modern shapes, some reminiscent of the Disneyland cartoon dishes, together with classic dishes. Watch out: Although the ranges are large the prices are not particularly low. If you want discount factory rejects then this is not the place. When to go: Any time from late afternoon through to late evening will find the stalls of Apliu Street and the shops will be busy. Where is it: Located in Sham Shui Po the street market extends along moth of the street, with only the southern side not being part of the market. There are interesting fabric shops in that other southern part of the road. What you’ll see: Electronic goods, gadgets, photographic equipment and second-hand tools can all be found here. Don’t miss: Looking up at the historic 1950 design buildings. Just opposite the public toilets near the middle of the street there is a great example of the rounded corner of shop-house buildings which once lined all the business streets of Hong Kong. Only a few examples still exist and one is here in Apliu Street. Watch out: Cheap gadgets that are not high quality. Although there are good deals to be had here there are also a lot of flimsy low-quality things as well. Ask for a demo of anything you buy and don’t spend too much! If you are only going to visit one-night market then Temple Street Night Market is the one to go to. As this market contains a lot of choices of places to eat a full meal include time to have dinner here as well. 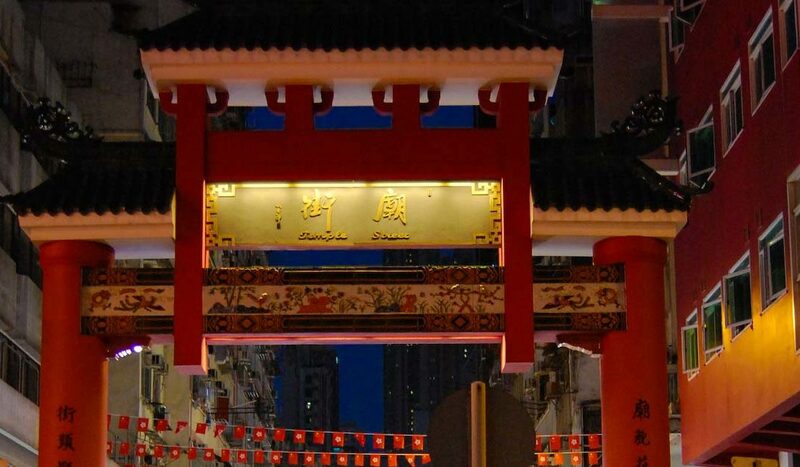 Being located right next to the Tin Hau Temple of which it is named, it is worth spending a little time to look around the temple and the nice community garden outside. Arrive at the temple before dusk to enjoy the quite cool under the trees in the garden, it is actually more of a public square but with plenty of trees that give some much needed shelter on a hot day. After visiting the temple it is to stroll tyhrough the market in the twilight while you can still get a few good photos and see a bit more clearly. Go down to the southern end where the second of thepicturesque “gates” to the market is located. Choose from one of the restaurants in this area for your dinner, and as you sit outside in the street eating you’ll see the crowds of shoppers gradually arriving to fill the market with more and more life. After dinner make your way back through the lighted stalls northwards to the car park building near the temple, walk up to one of the higher floors in the building for the iconic nightime view and photograph of the whole illuminated street. By this time it willbe 8pm or later and walking around to the west side of the car park building to see the fortune tellers and the singers. Do walk around the whole building as there are stalls also on the east side, next to the other of the Chineseque “gates” to the market. Here you’ll find stalls selling adult novelties and lotions mixed in with the usual phone chargers and gadgets. If you still have some room for food pop into Mido Cafe for a Hong Kong style French Toast or an iced “Yin Yang” coffee-tea mix! Chinese people love to eat, and love to snack, and they feel there is no reason why they should stop just because it gets dark, is late, or they are shopping. That means Night Markets are often packed full of food choices. Even the unofficial night markets such as Ladies and Sneaker Street, which are just areas where shops open very late rather than actual night markets, you’ll be overwhelmed to food choices. But in the actual night market at Temple Street, you’ll find an even wider range of everything from snacks to hold in your hand as you eat and shop, to restaurants where you can sit down and eat a full meal. Temple Street has most of their restaurants at the southern end, the famed Spicy Crab is at the Jordan Road end of the street. While at the far north end past the temple and past the official end you’ll find the street stalls and hawkers, but only late in the evening. There are also areas where the eating is really the whole point and you’ll find more food than anything else. The side streets near Granville Road are packed full of hole-in-the-wall eatieres. I mean that literally in that there is nowhere to sit or even go inside them, you stand in the street and are served your snacks through a window! Walk down the alley between Cotton On and Bonjour to see them. Around Ladies Market, there are no particular spots to visit but you’ll see cafes all along the route including Hakada Cafe serving Japanese style and Miss India Restaurant that not suprisingly provides authentic indian food. If it is just the food-at-night aspect of a night market that interests you then there are small collections of stalls in a variety of residential areas, one of the most unusual is on Cheung Chau where the road outside the ferry pier becomes a mini- food only night market starting at about 10:30. Be prepared to stay the night though as you’ll find there aren’t many ferry choices back to the city once you’ve finished your deep fried chicken, fried turnip cake, congee or “cheung fun” rice rolls. Dai pai dong (大排檔) is a type of open-air food stall that was originally a cart on wheel in the street. Today they are generally fixed to a shop front, but there are still mobile stalls at some markets. Although criticized for their poor hygiene the stalls have no shortage of customers because of the low prices and tasty dishes. The north end of Temple Street has great choices, but you’ll also find them in places such as Yiu Tung Street, Sham Shui Po and even beside the Mid Level Escalator in Central, though those ones don’t operate at night. Today you’ll have the ambience of the street food by sitting in the street, but outside a full service restaurant kitchen. This traditional cafe hasn’t changed since the 1960s and is a bit of a time-capsule frequented by those seeking nostalgia in HK. Don’t be put off by the rather basic ground floor entrance, it is best to sit upstairs where there is a bit of a view. As well as the food take a moment to notice the elements of the decor such as the tiled floor and the glass-topped tables with menus underneath.